We have been established in Sheffield in the UK since 1965. We love all classic cars, and we have a particular enthusiasm for British and American classic cars. From Pontiac to Jaguar, and MG to Ford, we take tremendous pride in all our classics. We have a genuine understanding of these cars, having worked on them continuously since the 1960s, and we take pride in preparing them for their new owner. Our hope is that our customers will feel the same pride and enjoyment in their new classic car. Back in the 1970s we used to import American cars, particularly muscle cars, like the Pontiac Firebird Trans Am and the Ford Mustang. We still enjoy dealing with these American classic cars today. Conveniently based in Sheffield, South Yorkshire, we are able to serve the whole of Great Britain and Europe. 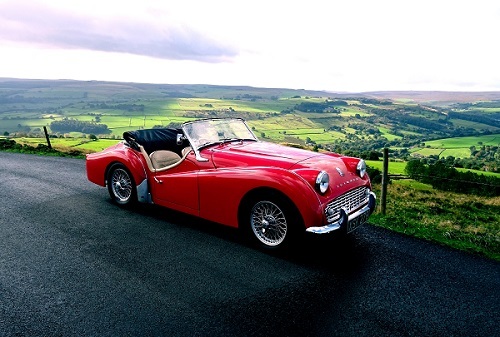 Our customers have come from far and wide to view and purchase our classic cars, from places such as Scotland, London, Leeds, Manchester, Chester, and all over the UK. If you would like to view our classic cars for sale please visit our showroom. 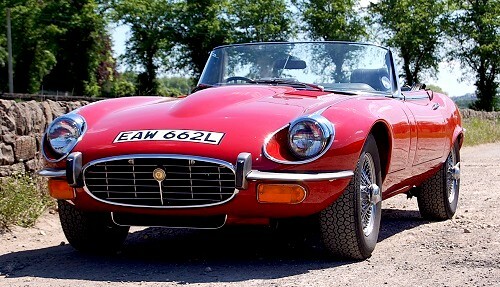 In addition to classic car sales we also provide a car storage service for cars, bikes, and other vehicles. Head over to car storage for more information. If you simply enjoy looking at classic cars click on previous cars, or visit our Youtube channel. So if you would like to visit us in Loxley, Sheffield, please phone and we will be happy to show you around our cars. We will gladly pick you up and return you to Sheffield station if you are arriving by train. We believe classic cars are part of our heritage and culture. Classic cars should be fun for the whole family, going on outings or to shows. They should not be just a means of everyday transport, but a pleasure to own and use, and hopefully an investment too. If you would would like more information please don't hesitate to contact us. Thanks for taking the time to view our site, and we look forward to seeing you soon.